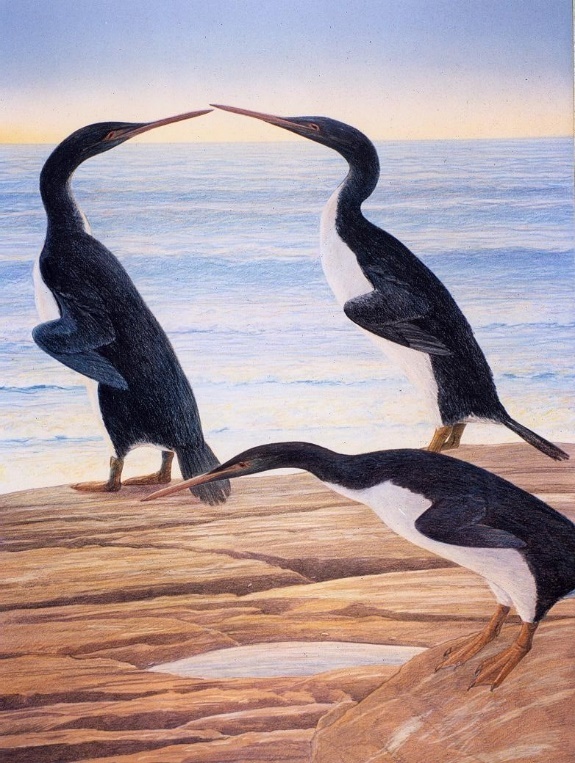 Palaeontologists have discovered fossilised foot bones from New Zealand that belonged to one of the world’s oldest and largest prehistoric penguins. This species is so new that it doesn’t even have a name yet; for now, it’s known simply as the Waipara giant penguin. Fossil sites alongside the Waipara River in New Zealand’s Canterbury region are famous for turning up evidence of ancient birds, including relatives of ducks, chickens, falcons – and penguins! The first penguin discovered in this area was named Waimanu. Standing around one metre (3 feet) tall, it was similar in size to the largest modern-day penguin, the emperor penguin of Antarctica. And at 60 million years old, Waimanu was the oldest-known fossil penguin. Like Waimanu, the Waipara giant penguin swam and hunted in the warm shallow seas of this region (even today, some penguins like it warm). But unlike Waimanu, the new penguin was huge. Based on the size of its bones, scientists estimate it could have stood over 1.5 metres (5 feet) tall! “This shows that penguins reached an enormous size quite early in their evolutionary history, around 60 million years ago,” says Gerald Mayr of the Senckenberg Museum in Germany, the lead author on the study published in The Science of Nature journal. 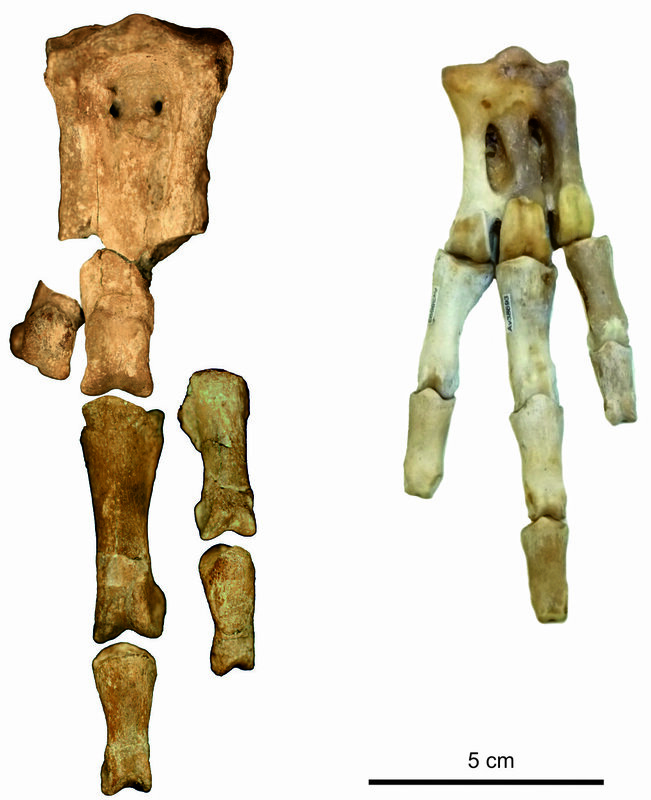 The Waipara giant may only be known from its feet so far, but feet can reveal a lot, especially about how an animal moved. This ancient bird's feet were so similar to those of modern-day penguins that the scientists suspect the giant had already evolved the iconic penguin waddle. The fossil record of the earliest penguins is pretty patchy, so we don’t know for sure when the very first penguins evolved. But the Waipara giant and Waimanu are quite different from each other, and that kind of diversity takes time to evolve. “[T]his diversity indicates that the first representatives of penguins already arose during the age of dinosaurs, more than 65 million years ago,” says Mayr. This means that the first penguins may have swam the seas at the same time T. rex was walking on land! They probably never met, though, since T. rex lived in North America and most penguins are from much farther south. This new waddling wonder may be the oldest giant penguin, but it’s not the only one. The fossil record is full of ancient penguins that dwarf even their largest living cousins. In fact, the scientists were able to estimate the size of the Waipara giant by comparing it to similar-sized but better-known giants like Anthropornis and Pachydyptes, that lived in Antarctica and New Zealand around 35 million years ago. 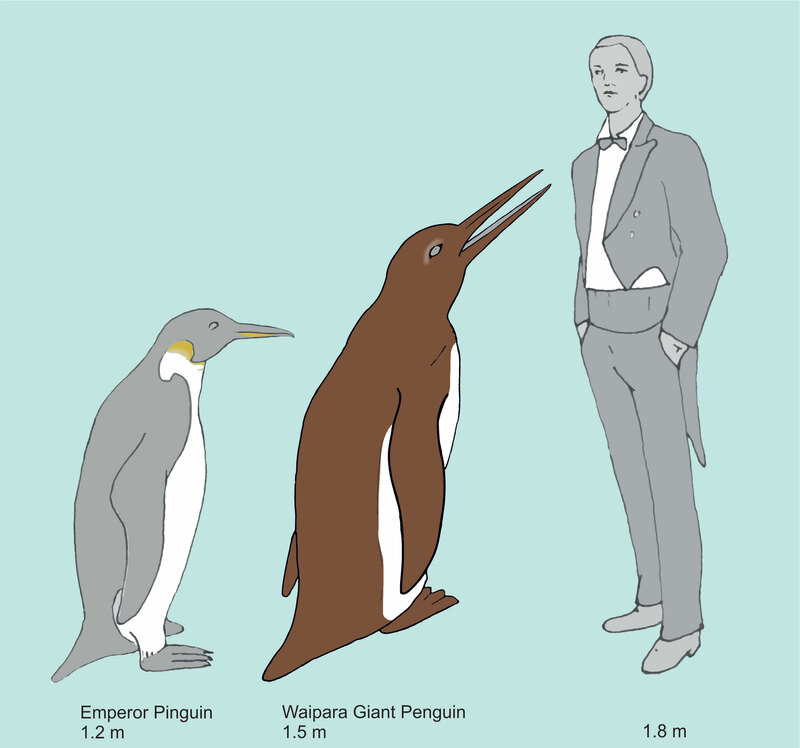 At that time, the late Eocene Epoch, giant penguins were pretty common. They also included two big birds from Peru: Icadyptes, who had a bill like a spear, and Inkayacu, the first fossil penguin preserved with feathers! Giant penguins are found in the fossil record until about 25 million years ago, which is – perhaps not coincidentally – around the time that the oceans see the rise of the odontocetes: the toothed whales. After that, penguins stick to more modest sizes!